There’s big news for those who suffer from hearing loss and it comes from researchers at the University of South Florida. It recently announced it’s found the gene believed to be directly associated with hearing loss in older Americans. These findings could mean significant changes in the way new products are developed and how doctors approach preventive measures when counseling patients. It’s believed 30 million Americans are impacted by this type of hearing loss. The researchers, Robert Frisina Sr. and Robert Frisina Jr. began their research close to a decade ago with the goal of finding out what causes hearing loss in some people. Soon, they had the backing of the University of South Florida’s Global Center for Hearing and Speech Research as well as the Rochester Institute of Technology’s (RIT) National Technical Institute for the Deaf. The teams discovered a genetic biomarker for presbycuiss, but just as importantly, they discovered a genetic mutation that’s directly related to hearing loss and the way humans process speech. The House Ear Institute also participated in the efforts of segregating the gene that creates protein in the cochlea, known as glutamate receptor metabotropic 7 or GRM7. This is what helps us convert sound into code that the nervous system recognizes and processes. Our brains are then able to use this to process both hearing and speech. Sound complicated? We think so too – but it’s exciting and promising news. explained Robert Frisina Jr., who is also a professor at the USF College of Engineering. DNA analyses were used in the study using a total of 687 participants. Each completed several hours of exams to determine their hearing abilities. Observations of the ability to process speech and genetic studies were made as well. One interesting find was there appeared to be different results males and females. The gene ended up having a negative impact for men, but for women, it was a far more positive impact, especially in their later years. Of course, this hasn’t resulted in a definitive cure, but the research opens the door for a deeper understanding of how hearing loss works. Whether it’s age related or if one is born with hearing disabilities, there’s real progress being made. 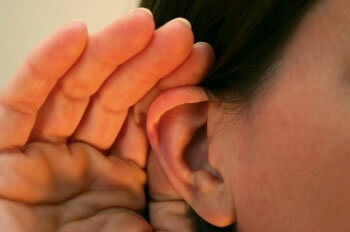 For the short term, researchers believe that the gene can help people understand how to protect their hearing. They noted that people can prevent hearing loss with little things like avoiding loud noises, particular medications know to cause hearing damage and wearing ear protection. The scientists now understood that presbycusis is caused by a number of different genetic and environmental factors. In the long term, it can play a significant role in all hearing loss dynamics.